Like many people in the world, I woke up a few days ago and was interested to learn that Donald J. Trump is the new President elect of the U.S.A.................Surprise! On January 21st Trump will be sworn in as commander-in-chief to one of the most powerful nations in the world, along with a cabinet, house and senate of other Republicans, giving him more power than a president has had for 90 years. Many people are a little worried about this. A candidate like Trump has never been given this kind of opportunity. Simply put: we don't know what he's going to be like. He's a man with minimal political experience and, in the run-up to the election, has been accused of racism, mysoginy, islamophobia, homophobia, he's made unusually lewd remarks and some rather wild accusations. But maybe, maybe, maybe, this is all just confident speechifying. Maybe he doesn't mean a lot of the things he's said - after all, we all say foolish things when we're under pressure and there are thousands of people cheering us on. Maybe he's not what people are accusing him of. As a teacher it's normally considered bad form to discuss my political views. I understand the reason. However, I also have a duty to speak out against bigotry and ignorance - both as an educator and a human being. History doesn't look kindly on those who stand by and say nothing, so I honestly feel my conscience is a lot clearer if I speak publicly about my concerns. So here goes. I'll be as diplomatic as possible because Trump has been fairly elected by democratic vote and we have to respect America's decision. 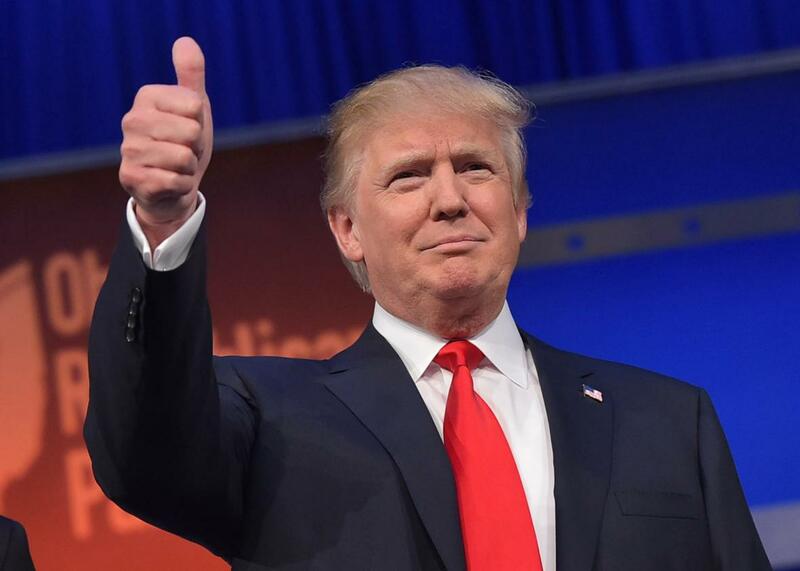 If you reading this are a Trump supporter then congratulations on your victory! I'm hoping you'll be willing to let an outsider raise some concerns and criticisms. After all, what's politics without debate? Donald Trump's upcoming presidency does worry me. I don't think it's going to be the end of the world though. There's been a lot of hysteria about what's going to happen but we should at least give him a chance before we start labelling him the anti-christ. Nobody thought Ben Affleck was going to be good as Batman, and that turned out fine. Perhaps Trump's unorthodox approach to...everything...will do wonders for the global economy. I'm no financier so I'm not qualified to comment. Maybe Trump's foreign policy and views on immigration will lead to an enlightened age of racial tolerance and harmony somehow. We have sadly seen an increase in race attacks in the USA over the last few days, but we can hope they will die down. Again, I'm not a sociologist so anything I say on this matter will be nothing more than opinion. What I am qualified to talk about is Trump's position on Science, public awareness of Science and Science education. And this is where I hear alarm bells. Mike Pence, the new second-in-command explained in the 107th Congress meeting (second session, July 11 2002) that he did not accept evolution and that it was just "a theory" which should be taught in schools alongside other "theories". Then we have Ben Carson who may soon be in charge of America's education and therefore the Scientific understanding. Carson denies evolution, saying that Darwin was encouraged to come up with the idea because he was encouraged by Satan. He also describes the Big Bang Theory as a "fairytale" about an "explosion" which "contradicts the second law of thermodynamics". Denying the existence of things like climate change, evolution and the big bang is to put yourself firmly in opposition to the Scientific community. So it's a problem that the three people who have the most power over American Science don't seem to accept its claims. But isn't it just their opinion? I've said it before, I'll say it again, and I'll keep saying it until the day I die: you are entitled to your opinion but you can't have opinions about nature. It makes no sense. It's like having an opinion on the existence of pigeons. You can have one but it's ridiculous. The natural world - reality in other words - is not the realm of opinion. Nature makes the decisions about what's going on, not us. If you want to find out what the world is like you can't chuck out the bits which conflict with your personal beliefs. Either you abandon your personal beliefs or modify them to fit the facts. You have to accept nature in all her ugliness as well as her beauty. Yes, fair enough, you can technically believe whatever you want in the privacy of your own home. If you want to sit there denying the existence of evolution, the big bang, climate change and the number 19, then be my guest, I can't stop you. But if you're in a position of power you have to leave your personal beliefs at home. You have the right to disagree with reality but you have a responsibility not to. In case you're reading Donald, this is a metaphor. Come on Trump, We're counting on you to do better! Trump's climate-change objection is not that rare. It's a confusion between local weather conditions and global climate. If the USA is having a big freeze, this doesn't disprove climate change. the comedian Stephen Colbert compared it to saying there's no such thing as world hunger because many Americans have food. Trump doesn't understand the distinction between weather (what's happening in one place during one period) and climate (the overall pattern of weather phenomena for the Earth over many periods). It's also worrying that his source is NBC News, rather than research journals. Thing is, this particular misunderstanding of weather and climate is common (although the Chinese element is genuinely a mystery to me). But the president can't afford to make common-ignorance mistakes like that. The president has a responsibility to either understand the issues in their full complexity or hire advisors who will. He's falling for a common misconception which would be forgivable if he were still just a businessman/celebrity, but now he's the president elect, he can't afford to do that any more. He needs to step up his game. Fast. 97% of Scientists are in agreement that climate change is taking place as a result of human action. If Trump wants to align himself with the 3% of doubters he'd better have seriously good arguments rather than just a report he saw on NBC News. Already, Trump has talked about pulling funding from clean energy projects and investing in oil pipelines and fracking. He claims this will be good for America's economy. And you know what? He's probably right. He's even said he's "going to be greedy for America." Which of course sounds nice if you're American. But climage change isn't an American problem. To quote Isaac Asimov "We are talking about something that affects the entire Earth, these are problems that transcend nations". Climate change is bigger than just America and if Trump decides to steer America selfishly he may lead them to prosperity at the expense of the entire planet. A few decades of wealth in exchange for centuries of misery. I just think he needs to take more care with his approach rather than making bold statements which lack subtlety. Same goes for the vaccines-autism thing. His tweet seems to be implying that a) autism is unhealthy, b) young children suddenly not feeling good = autism and c) there's a causal link between vaccines and autism. If you're curious, here's the actual evidence for the vaccines-autism link: In February 1998, a doctor named Andrew Wakefield published a report in The Lancet magazine in which the parents of twelve children exhibiting autistic-like behaviour were interviewed. Eight of the twelve parents said they thought the MMR vaccine was the cause. That's it. That's the sum total of evidence. The opinions of eight sets of parents. The media frenzy which followed has a lot to answer for but this evidence is so sketchy it's barely worthy of the name. Trump's statement that there are "many such cases" actually means eight. Now yes, autism diagnoses have increased in the last few decades (doctors are now more aware of the condition) but so has the number of oscars won by Meryl Streep...is there a causal link between autism diagnoses and Streep's acting success? We're onto you Streep. You think we're not, but we're watching closely. Trump's position is a potentially dangerous one. Think of the number of people who might forego a vaccination, putting their child at risk, because they believe it causes autism. And, let's just point something else out. Even if the MMR vaccine did cause autism (it doesn't) but even if it did (it really doesn't) why is that a bad thing? What's wrong with autistic people? And even if we decided that autism was a bad thing and that the MMR vaccine increased its chances...would you rather have your child grow up autistic or die of Measles? Again, Trump can say what he likes on his twitter feed, but now he's the president he needs to take more care. What he decides will affect millions of people and he can't afford to make sweeping statements that demonstrate a lack of understanding. I'm hopeful that Donald Trump is sensible enough to be prepared to change his mind in the face of evidence, and I really think if he looks into it (rather than just going with anecdotal evidence and hearsay) he'll come to change his mind. So come on Trump, get your Science in order, we're counting on you! Pence's evolution denial is another forgivable mistake because he seems to not understand what a "theory" is. He's correct that evolution is a theory but a theory doesn't mean a guess, that's a hypothesis he's thinking of (something I recently covered in year 7 Science lessons). A theory means an idea which has been confirmed repeatedly by evidence. That's why we call it the theory of evolution, rather than the hypothesis of evolution. Same with the theory of gravity. The theory of the round Earth. The theory of relativity. The theory of electricity. There is no such thing as "competing theories". There are competing hypotheses (guesses) but once the evidence is in only one of them becomes theory. Evolution is the theory of Biology because it's the one which has been confirmed endlessly and repeatedly by conclusive evidence. I'm not sure what these other ideas he's talking about are, but they aren't evidenced so we shouldn't be teaching them as equal to evolution. Come on Pence, you need to understand what a theory is before you can talk about rejecting one! Carson's comments are probably the most bizarre of the three (which is really saying something when you consider who the other two people are). Firstly, the big bang wasn't an explosion as he states - that's a grade-school misunderstanding and secondly it does not violate the second law of thermodynamics. The big bang theory (again, there's that theory word) actually validates the 2nd law. Besides, if there was a contradiction between the 2nd law and the big bang don't you think Scientists would have noticed? If there's one thing Science excels at it's chucking out ideas when better ones come along. Again, Mr Carson, I don't have a problem with you misunderstanding the big bang or the 2nd law because they're complicated ideas...but you're about to be in charge of children's education. You have to be careful calling something you don't know much about "a fairytale". For instance, I'm aware that Biologists often refer to a thing called mRNA and I don't fully understand what it does. But I don't call it a fairytale. If I want to find out about mRNA I do some research/experiments or I openly confess my ignorance (as I just did) before I go around making bold comments like "it's a fairytale". Again, believe what you want in private, but don't let it affect your political actions. In 2009, at the Policing and Crime Bill Committee (4th sitting, 29th January, Col.112 answer to Q195) the member of parliament Vernon Coaker said "you pick the evidence which, in the end, backs your argument". Argh! No! That's the Scientific process backwards! You don't start with an argument then look for evidence. You look for evidence, then build your argument based on it. You can find evidence to support any weird and whacky claim you like (google "evidence for unicorns"). But that's not a good way to do things because Google only gives you what you want to see - it doesn't have a "disprove my search" function. Maybe it should. Thing is, when working out the truth you need to start from ignorance then commit yourself to wherever Science leads you. This causes a problem if you're a politician however, because if Science takes you to a place your voters don't like, you have a crisis. As a politician, you want to remain in office, which means you want to have the voters on your side. In order to have voters supporting you, you need to be popular. And here's the key. Politicians must align themselves with what is popular. Scientists must align themselves with what is true. A lot of the time truth is popular, but oftentimes it is not. And that's when we get politicians either rejecting Science outright or deciding they don't agree with the evidence. Politicians often seem to think the best way to oppose something is to come up with a good counterargument. That's how it works in political debate - and that's fine. But a good, logical counterargument is worthless in Science. It's not about debate, it's about who has better evidence. There's plenty of things in Science I wish weren't true. 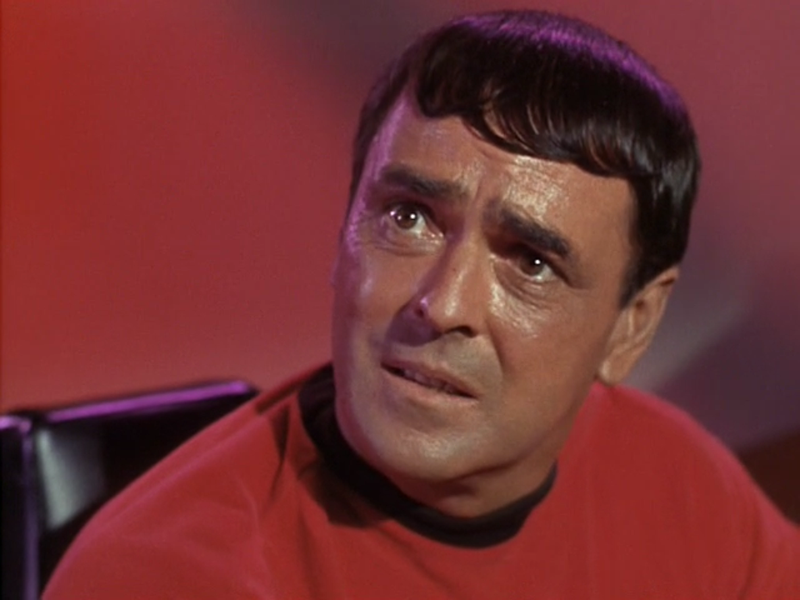 But there's no amount of clever arguments I can put forward which will undo what the Universe has stitched together. This is why Science and Politics often have a tense relationship. Scientists need political support (largely for funding reasons) and politicians recognise that Science is important for a healthy economy. But it's a rocky marriage. And, with Trump, Pence and Carson at the helm, we might be in for a divorce. 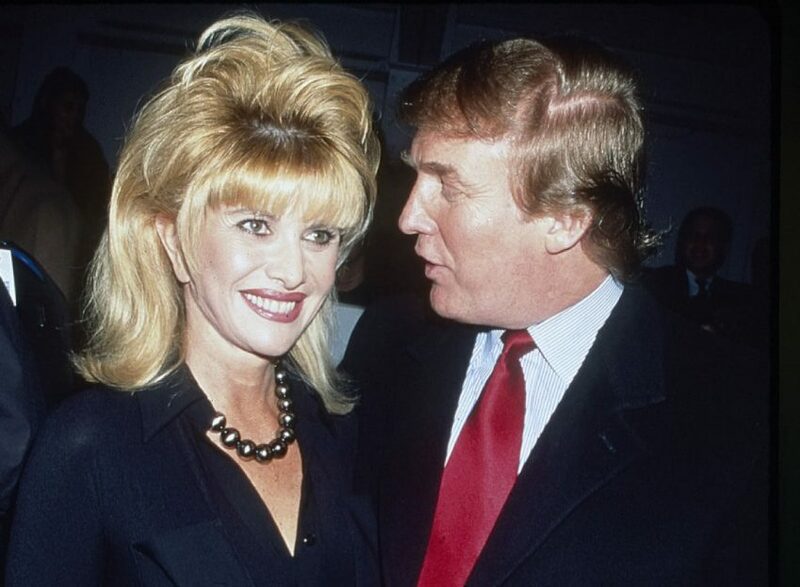 Ivana Trump, Donald's first wife. As I've said before, highlighting a problem is important, but it's even more important to talk about solutions. Otherwise I'm just whinging. So, do I think there are ways to fix this problem? Yes, I do absolutely. I have more hope than I have fear. Having powerful people making decisions based on poor Science is going to be bad for the world. Worst case scenario is that climate change accelerates, lots of children end up with easily vaccinatable diseases and Scientific literacy in America plummets. How do we solve this problem? With two simple strategies. In the 19th century having a good education was a priviledge. In the 20th century it was a right. Now, in the 21st century, it's a necessity. We need as many people to be well educated as we can manage. If the opposition is championing ignorance we need to fight back with knowledge. Getting an education is no longer about giving yourself a better shot at life. It's about helping to save the world. If Trump makes bad decisions, we need to clear up the mess. If he makes good decisions, we need to be ready with the next step. If Trump doesn't know what decisions to make, we need to guide him. We need an army of people who know how Science works, who understand the subtleties of global politics and who understand ethics, finance, anthropology etc. And then, when you know all that stuff, pass it on! Don't cache your knowledge like a nest egg. Educate people, spread the word and spread the Science. The world might be headed for a tough time so we need to take battle stations. This is the intellectual war we've been preparing for. Nixon had the war on drugs. Bush had the war on terror. Trump looks set for the war on Science. We need to fight back. Let's make Science great again!